Did You Know? 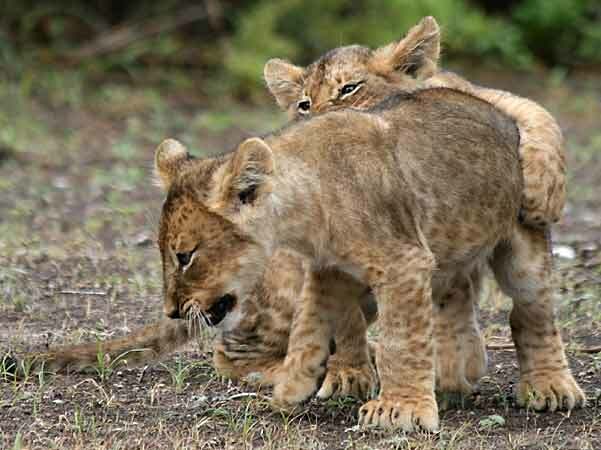 Male lion siblings often stay together after being forced to leave the pride by the resident dominant males, usually when they reach 2½ to three years old. They will then live a nomadic life as young bachelors until old and strong enough to compete for a territory of their own, where they will have the benefit of working as a team in challenging a pride's resident male or males.